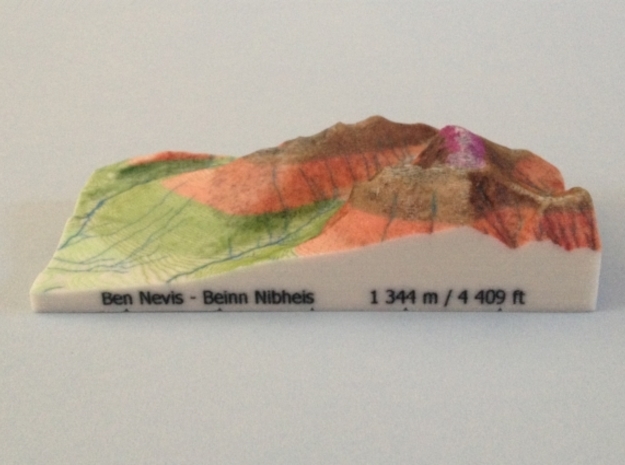 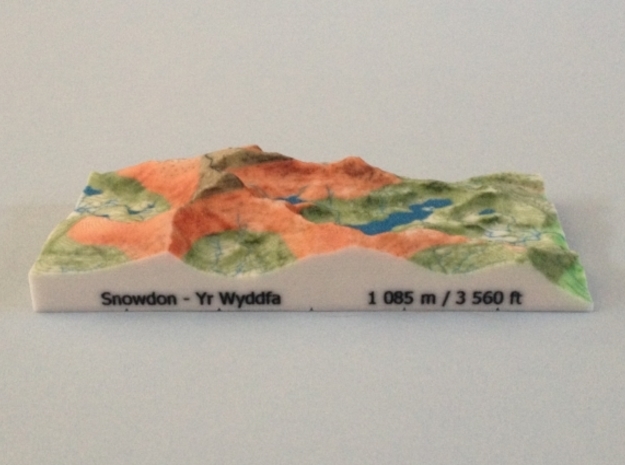 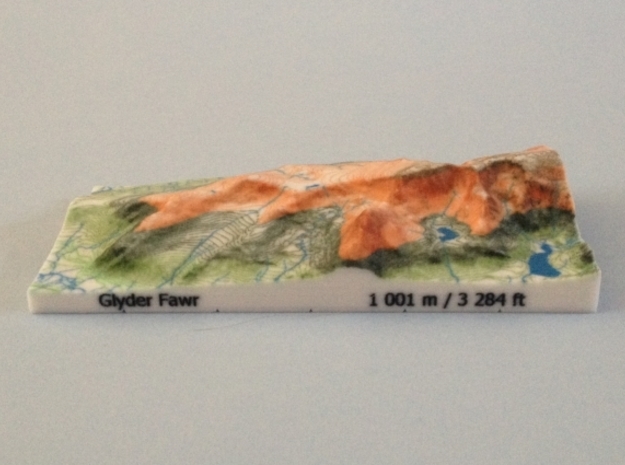 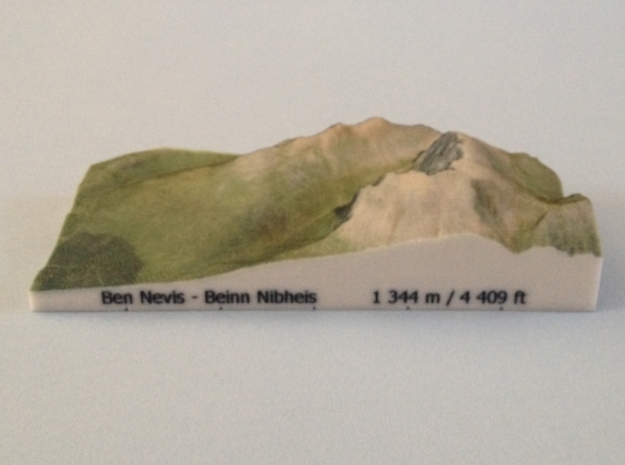 Accurately scaled 3D models of UK mountains draped with detailed surfaces in full colour. 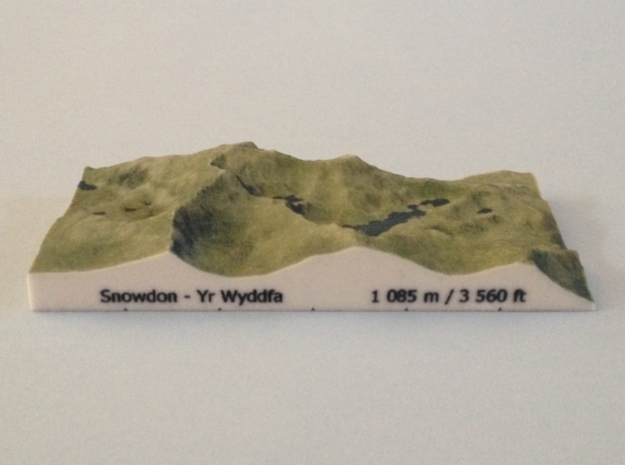 The models are built from elevation data provided by Ordnance Survey OpenData and are draped with full colour images of maps or aerial photographs. 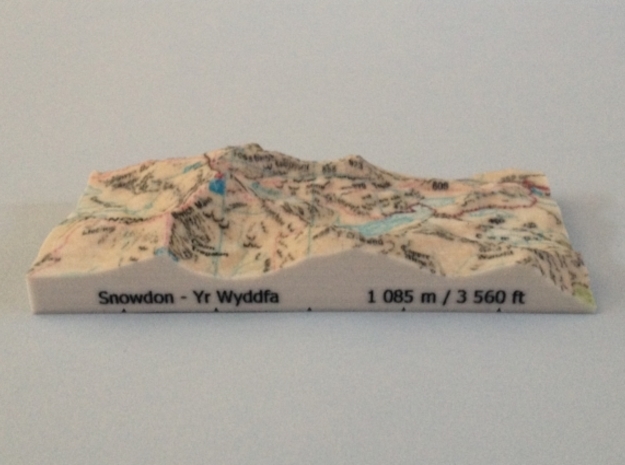 The prices of the Standard Range (Relief) models are lower than those of the Superior Range (Map and Photo) models because the former are draped with maps designed from Ordnance Survey OpenData which is free to acquire and resell. 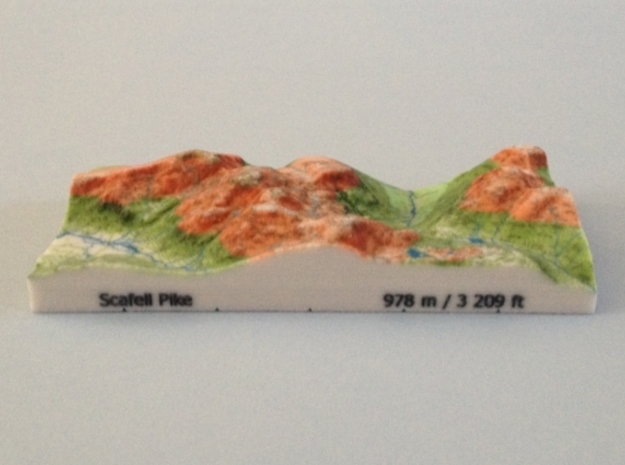 All models are printable in Full Color Sandstone, but there are two options. The default option (just called Full Color Sandstone) is a hard, brittle plaster-like material with a grainy look and feel that isn't very well suited for daily handing. 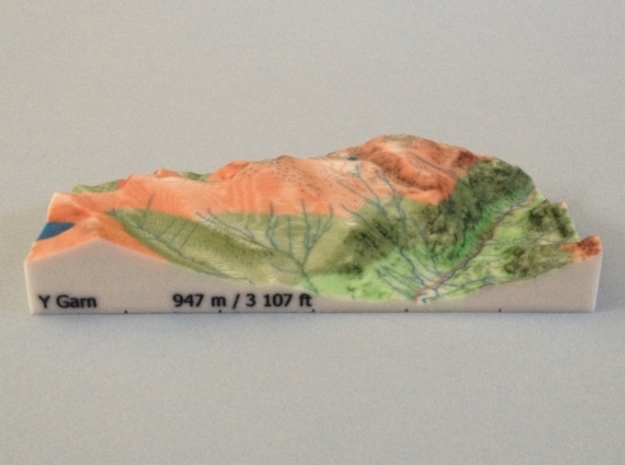 Models printed with this option should be handled carefully, and not exposed to water as it will cause fading. 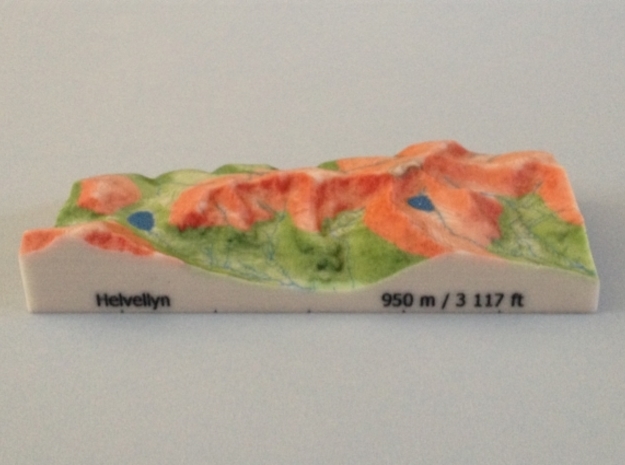 The other (slightly more expensive) option is Coated Full Color Sandstone, which is the same material coated by hand with a protective two part epoxy resin, creating more vivid colors, additional strength, and a smoother surface finish. 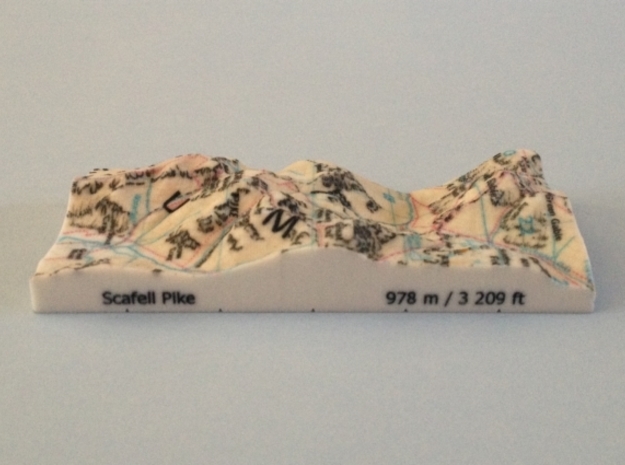 All the models on sale in this shop have been successfully printed at least twice and some have been printed many times. 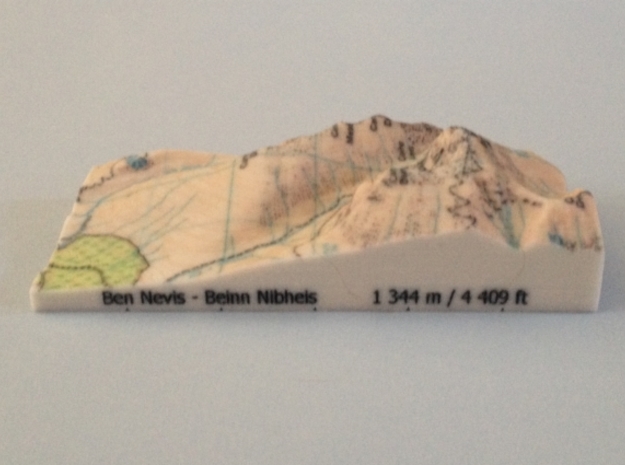 For updates on the launch of these models and interesting information about the mountains that are modelled, please follow @MountainShapes on Twitter or MountainShapes on Facebook.